I work as a community matron in Rotherham, South Yorkshire for The Rotherham NHS Foundation Trust. My role involves complex case management of people with multiple long-term conditions in the community setting. 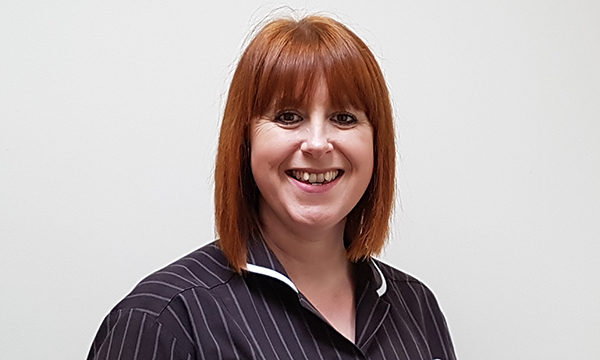 I work in my own scope of practice to assess, treat and diagnose chronic and acute illness for patients on my caseload, and work with patients and their families to formulate a self-management and personalised care plan to empower them to manage their illnesses. I also provide clinical leadership for my district nurse team colleagues. I have wanted to be a nurse from the age of five when I was given my first dressing up outfit, a nurse’s uniform. As a typical child I played nurse with my doll. I had three community placements as a nursing student and knew from the first one this was my choice of pathway. I qualified as a registered general nurse in 2004. My mum owned a chip shop, and when I was younger I would work on the counter, or cleaning and prepping the shop. If I hadn’t gone into nursing I might have opened a bakery or coffee shop. I completed a diploma in nursing studies at the University of Manchester. My ward-based placements were at North Manchester General Hospital. I did my community placements in Rotherham so I could be at home. I felt so well supported in the community. Visiting people in their home environment and making small, but effective differences in their lives. The greatest current challenge any nurse faces in the community is lone working. Working autonomously and making clinical decisions in the best interests of the patient is rewarding and challenging. Nurses often have to rely on IT to give us important information about patients’ medical history. The most challenging time in my career was when I was studying for my postgraduate certificate in education (PGCE) for community practice teacher in district nursing. At this time I had a young son, was studying at university and moved to a different nursing team where I was asked to provide support at a challenging time. During this period my assertiveness skills developed tenfold. What nursing achievement makes you most proud? My proudest moment was when I became a community matron. This has been my dream job for the past seven or eight years, and helped me achieve the Queen’s Nurse title in 2018. What makes a good community or primary care nurse? Communication, confidence, trust in your abilities, adaptable to varying situations and environments and keeping calm in often difficult and challenging situations. Plus being non-judgemental on how a person chooses to live their life. Embrace knowledge, consolidation and preceptorship. Enjoy learning the role, respect everyone’s individuality and what they add to nursing. Be an advocate for people who need one. What is likely to affect nurses working in primary care over the next 12 months? Workload pressures and increasing use of IT rather than personal clinical decisions may affect confidence in managing patients in primary care. The increasing population will increase pressures on community nursing. How does it feel to have been made a Queen’s Nurse? An honour that is unspoken. My dedication to nursing practices and improvement of services for patients and colleagues has been recognised by the one institution that champions nursing in the community. If you're looking for a new job, or aiming to develop your nursing career, come along to our next event. Go to www.careersandjobsfair.com to book your free place today. 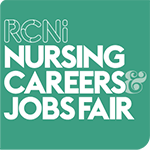 RCN Bulletin Jobs is a one-stop resource for finding and applying for the best jobs in nursing and healthcare. Hundreds of new posts are added every month and you can browse vacancies by field of practice, band or location. Registration is quick, making it as simple as possible for you to take the next step in your career.